Chapter 13 Bankruptcy is re-organization of debt instead of debt liquidation. Meeting with bankruptcy attorneys will let you know if your circumstances meet the eligibility requirements to file for Chapter 13, in which case you may be able to keep more assets. 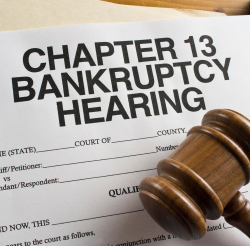 Chapter 13 Bankruptcy is the restructuring of your debts under the supervision of the court. You, your bankruptcy attorneys, and the court will develop a plan to pay back creditors within three to five years. Chapter 13 will allow you to keep your property and pay off your debts over time, pursuant to a court-approved repayment plan. How do I file for Chapter 13 Bankruptcy? Your first step before filing bankruptcy should be to speak to experienced bankruptcy attorneys. Bankruptcy attorneys can file a petition with the bankruptcy court in the jurisdiction where you live. Leslie A. Williams, one of the most experienced bankruptcy attorneys in the Kansas City area, will walk you through the process and answer any question you may have. What will I need to file Chapter 13 Bankruptcy? A current listing of your assets and liabilities. List of your current income and expenditures. A schedule of certain loan contracts and unexpired leases. Complete statement of your financial affairs. Eligibility is determined on a case by case basis. However, you may be eligible to file Chapter 13 if you have a current regular income. Meet with qualified bankruptcy attorneys to see if you qualify. Chapter 13 will allow you to keep your property and pay off your debts over time, usually three to five years, pursuant to a court-approved repayment plan. You may be eligible to file Chapter 13 debt-relief as long as your unsecured debts are less than $360,475 and secured debts are less than $1,081,400, to date. As one of the most reputable bankruptcy attorneys in the area, Leslie knows the ins and outs of Kansas City bankruptcy law, and she can help you find the best solution to get your life back on track. If you need experienced Kansas City bankruptcy attorneys and you’re ready to start exploring your options, stop into the office in Blue Springs, use our web submission form, or give us a call at (816) 533-4331.